Tokunation › Power Rangers › Hasbro Becomes New Producer Of Power Rangers Toys! Hasbro Becomes New Producer Of Power Rangers Toys! 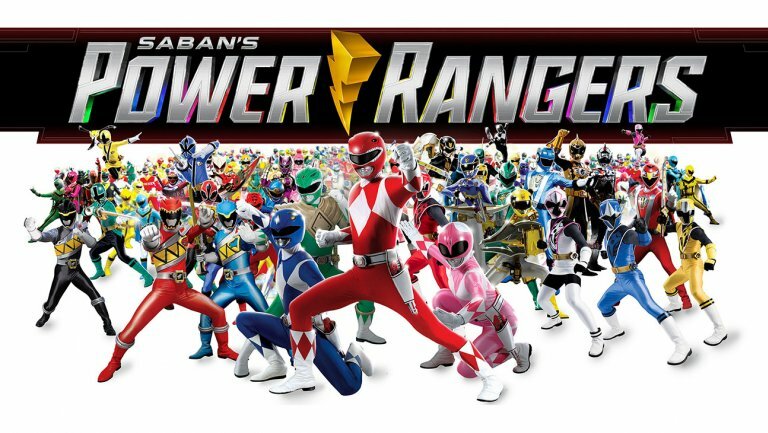 After the shocking announcement yesterday that Saban Brands was parting with long-time manufacturing partner Bandai America many fans were left speculating what would happen to the future of the Power Rangers toy license. The toy license for Power Rangers has been given to HASBRO– a giant in the toy industry best known for hit series like Transformers or My Little Pony. This new agreement, to start in 2019, is described by Hasbro’s CEO Brian Goldner (a long-time friend of Power Rangers mogul Haim Saban) as a “reinvention of the Power Rangers brand.” Furthermore, Goldner states that Hasbro will be “mindful of the franchises’ history and legacy material” when considering releases. More details about this exciting new partnership are likely to be revealed during this weekends’ New York Toy Fair 2018– so stay tuned to TokuNation as we keep you up to date on this remarkable new moment in Power Rangers history! Update – full press release after the break! PAWTUCKET, R.I. AND LOS ANGELES – FEB. 16, 2018 – Today, Hasbro, Inc. (NASDAQ:HAS), a global play and entertainment company, and Saban Brands announced that Hasbro has been named the global master toy licensee for Saban’s Power Rangers. Under the terms of the agreement and in collaboration with Saban Brands, Hasbro will design, produce and bring to market a wide variety of toys, games and role play items inspired by the franchise and its entertainment properties. Hasbro will hold the worldwide rights, excluding Japan and certain other Asian markets, effective as of April 1, 2019. Hasbro (NASDAQ: HAS) is a global play and entertainment company committed to Creating the World’s Best Play Experiences. From toys and games to television, movies, digital gaming and consumer products, Hasbro offers a variety of ways for audiences to experience its iconic brands, including NERF, MY LITTLE PONY, TRANSFORMERS, PLAY-DOH, MONOPOLY, LITTLEST PET SHOP and MAGIC: THE GATHERING, as well as premier partner brands. Through Hasbro Studios and its film labels, Allspark Pictures and Allspark Animation, the Company is building its brands globally through great storytelling and content on all screens. Hasbro is committed to making the world a better place for children and their families through corporate social responsibility and philanthropy. Hasbro ranked No. 1 on the 2017 100 Best Corporate Citizens list by CR Magazine, and has been named one of the World’s Most Ethical Companies® by Ethisphere Institute for the past six years. We learned two days ago through sources at this year’s New York Toy Fair that the Power Rangers toy license was going to be up for grabs and would be leaving Bandai America after 25 years. We cannot 100% confirm this as fact but we have from multiple separate sources that the Power Rangers license is now part of Hasbro or at least is likely to go to Hasbro. Just a few minutes ago, Saban Brands announced that Bandai America will no longer be part of the Power Rangers franchise after April of 2019. Because of that announcement we’ve chosen to move forward with posting these rumors. We will have more information on this as we move forward. Power Rangers may be under Hasbro's banner? How curious. I wonder what that will entail for the post 2019 figures, then. ...Alright look, if this is true and means stuff like good figures with good articulation and sculpting, I'm in for any villains they make. I don't know how to feel about this, alot of BOA's things recently have been subpar, like by alot, but I feel they were getting the hang of it in some ways. However Hasbro is alot better about alot of things like distribution (never even saw some of the zords in person for super megaforce and dinocharge) but Hasbro has been known to cut corners in key areas, like joints on marvel legends, and replacing paint for cheap stickers. I would actually be 100% okay with this, Hasbro makes some pretty good stuff. Maybe they can figure out a way to make Zords that aren’t bricks. .......What. Just.... what. This is not something I expected to hear, EVER. I'm skeptical, but I guess we will see soon. I'll be amused if Hasbro just turns around and licenses the Bandai JP product for wider distribution. Stranger things have happened.